Welcome to "Peter's Seashells." Mollusca is a huge and varied group of animals; the phylum encompasses about 100,000 species living in nearly every habitat on earth. 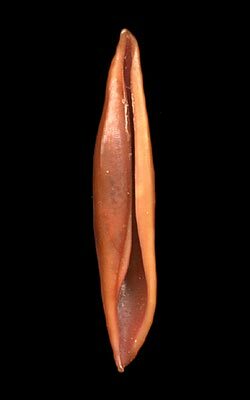 This site is devoted to the study of molluscs, especially their fantastic and beautiful shells. The shells shown on the pages of this Website are from my personal collection and are but a minute sampling of their amazing variety. Please stay, browse, learn, and above all, enjoy. This is the Flash Introduction to Peter's Seashells. It is the page that should be bookmarked. A brief introduction to the various classes of mollusc. Learn the names of all the parts of mollusc shells, test your knowledge, and see examples of shell sculpture and pattern. An identification guide to the shells of the northwest Pacific coast of North America. At present photos of 115 species are included, mostly intertidal. These are the shells I can't identify. Maybe you can help me. My personal page, with info about me and contact information. An extensive and ever-growing list of places to find more information on molluscs and conchology.